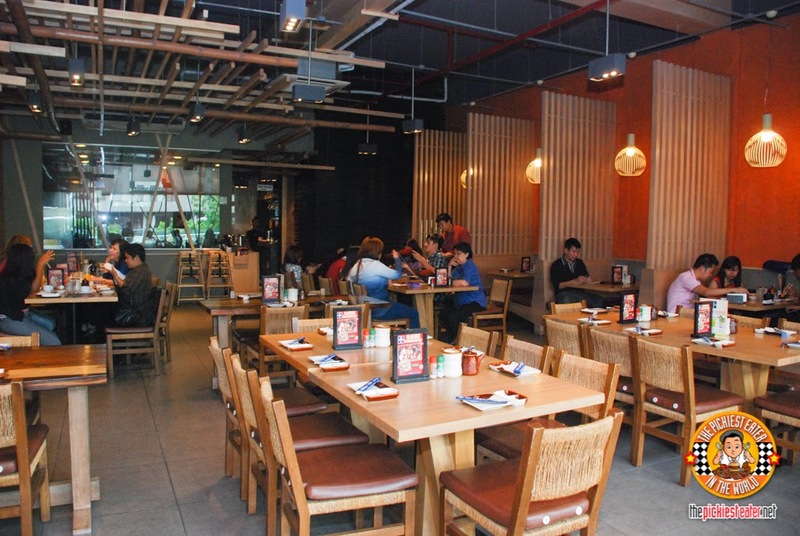 The Nanbantei in Roponggi was doing so well it boomed into what is now an international chain. 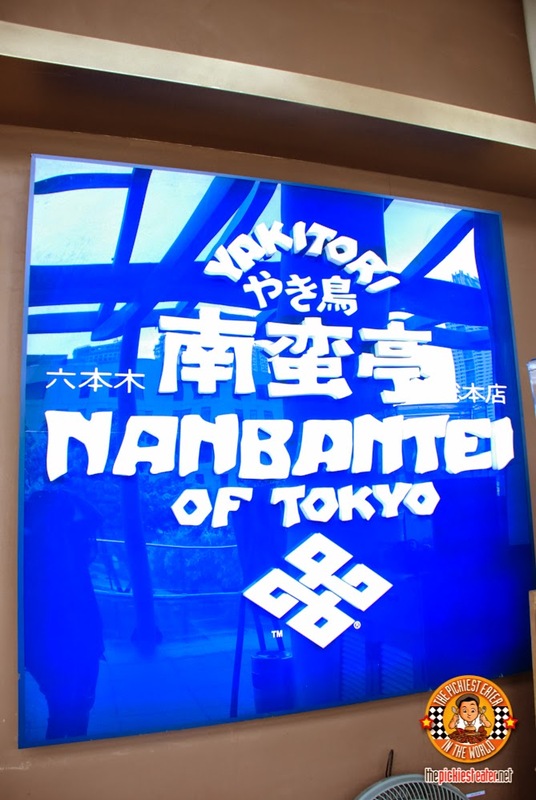 Nanbantei now has branches in Shanghai, and Singapore. The Interiors are quite simple but still has its own charm. I especially liked they way they used the wooden furniture. 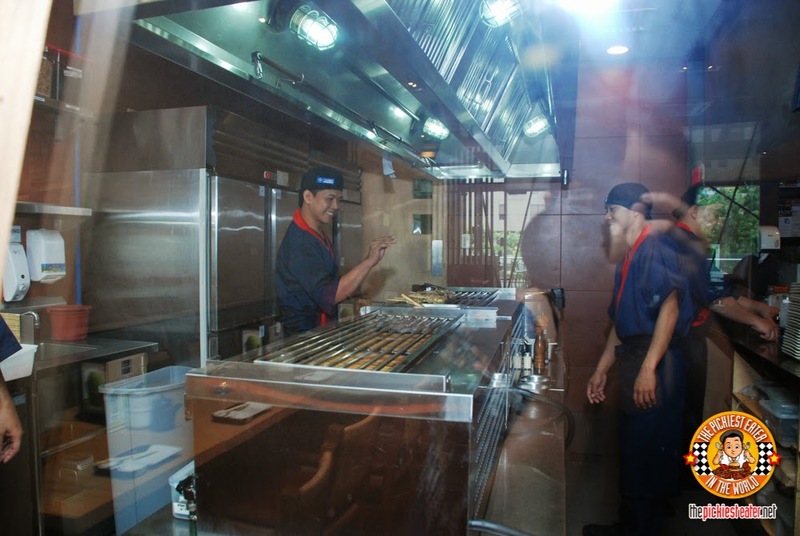 With its open kitchen, you are given a peek their huge skewer grill in the center. 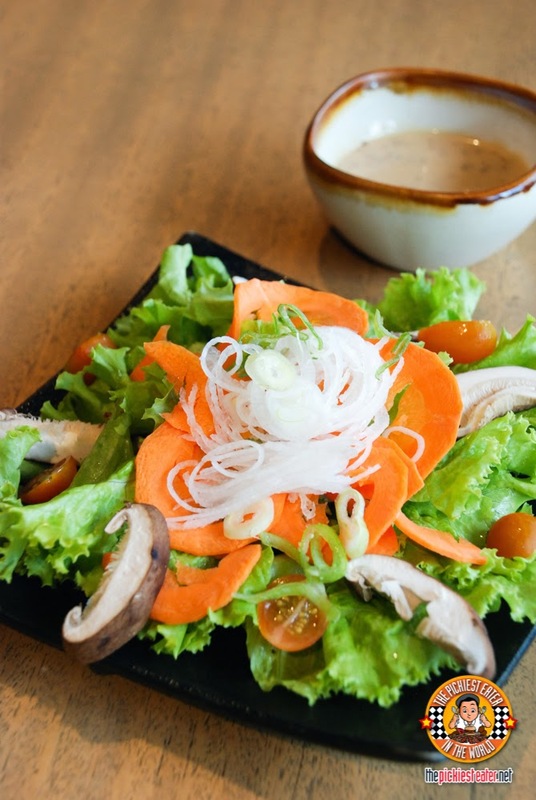 The Shiitake Mushroom Salad (P180) is one of Nanbantei's specialties. It's actually a very simple salad but with fresh shiitake mushrooms which I've never had in a salad before. But the most outstanding thing I like about this salad is the sesame dressing. It really added a unique flavor to it! 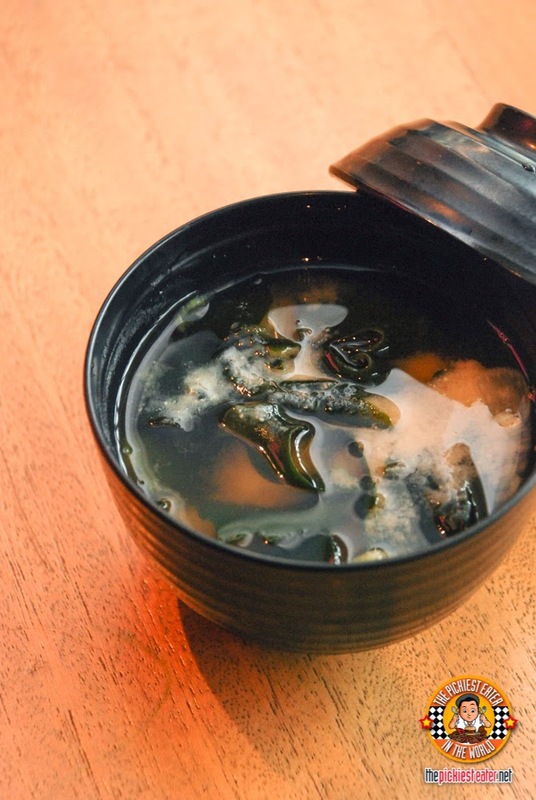 This Miso Shiru Soup (P85) is perfect for the rainy day. I like miso soups and this one was good. You can also immediately see how generous the seaweed serving is. Very healthy and delicious at the same time. Now moving forward to Nanbantei's unique Yakitoris. 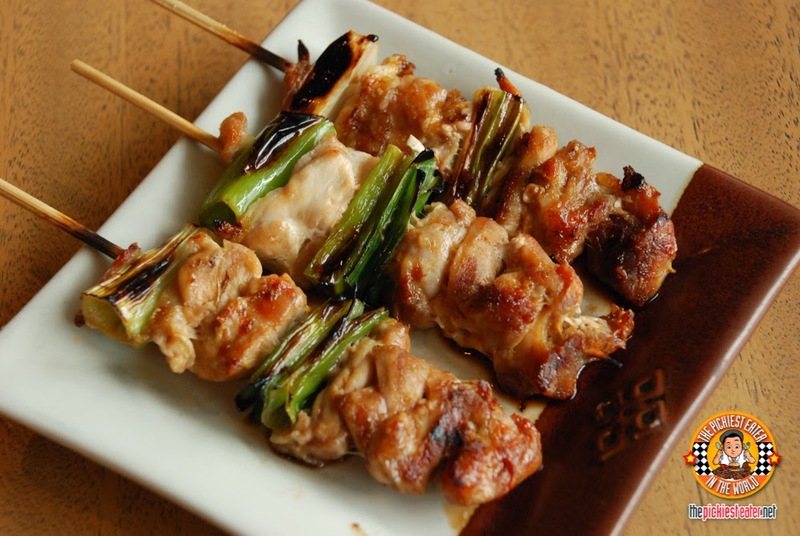 I've never seen these types of yakitori before. Unique indeed! It seemed like the chef or the R&D guys had Richie in mind when they made this Poteto Maki (P100)! It's potato wrapped with bacon. Yum! A match made in heaven! The NEW Shrimp with Bacon has got to be my favorite. So did everyone else. 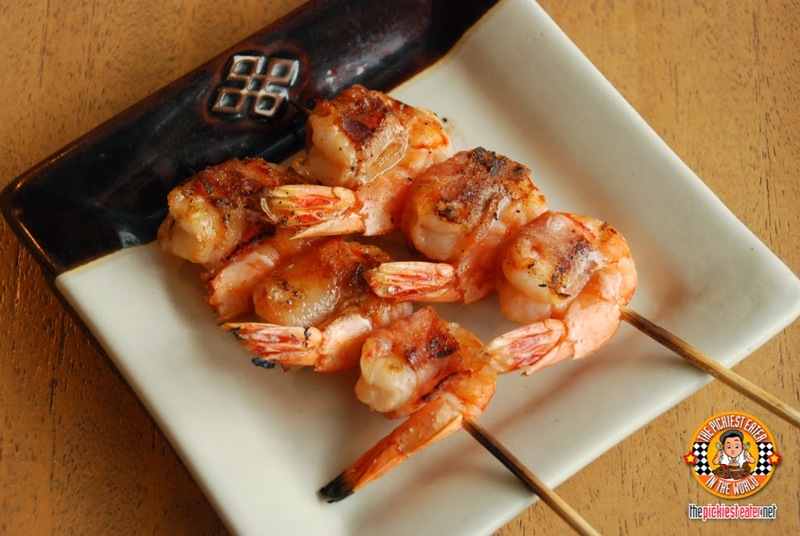 Shrimp is very tasty and juicy. And it's wrapped in bacon. So of course it's good! Surf n' turf on a stick! 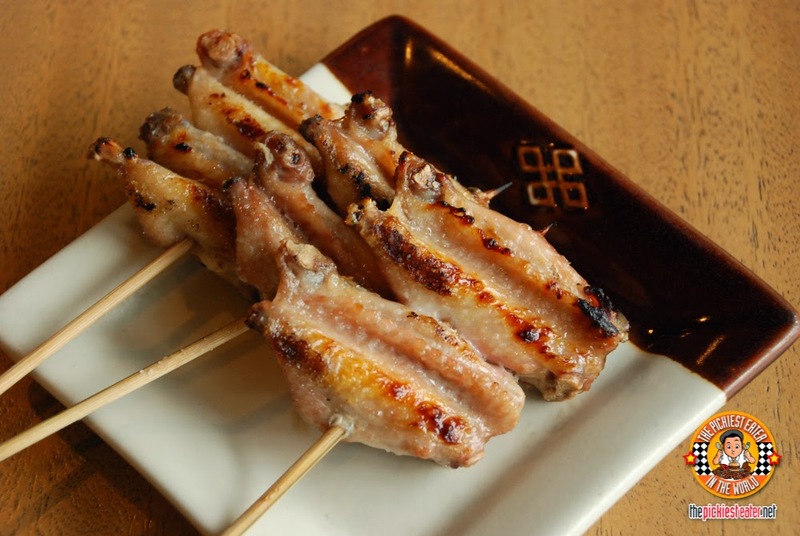 My friend who's a chicken wings lover, really loved the Tebasaki (P120) or otherwise known as chicken wings. Simply grilled yet very tasty! And if you're strictly "Pork only please! 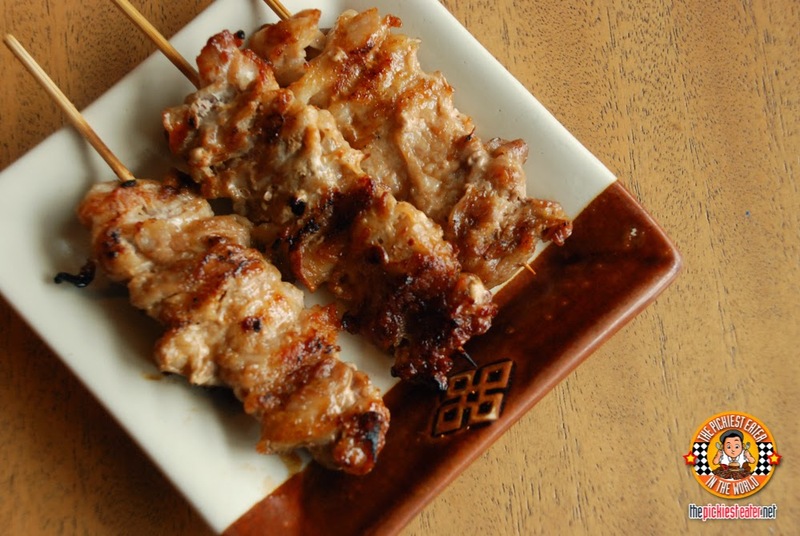 ", Try the Pork Yakiniku (P110). 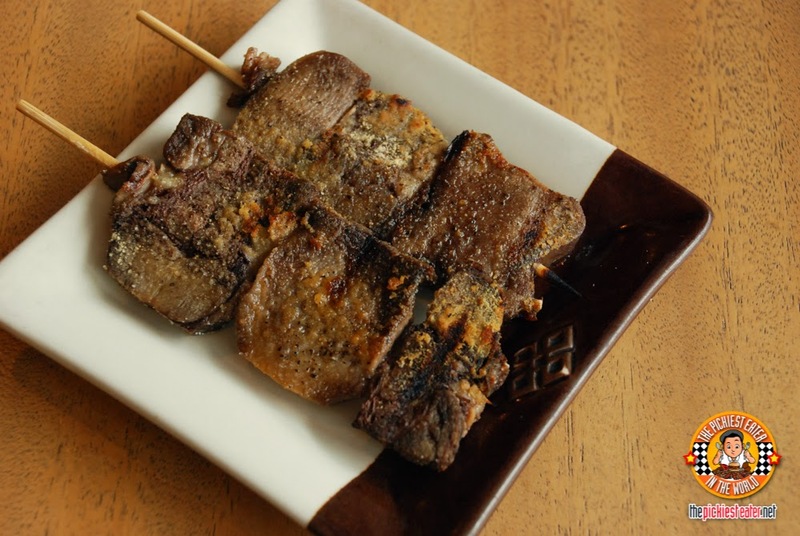 Thin slices of pork belly with delicious Yakiniku sauce. 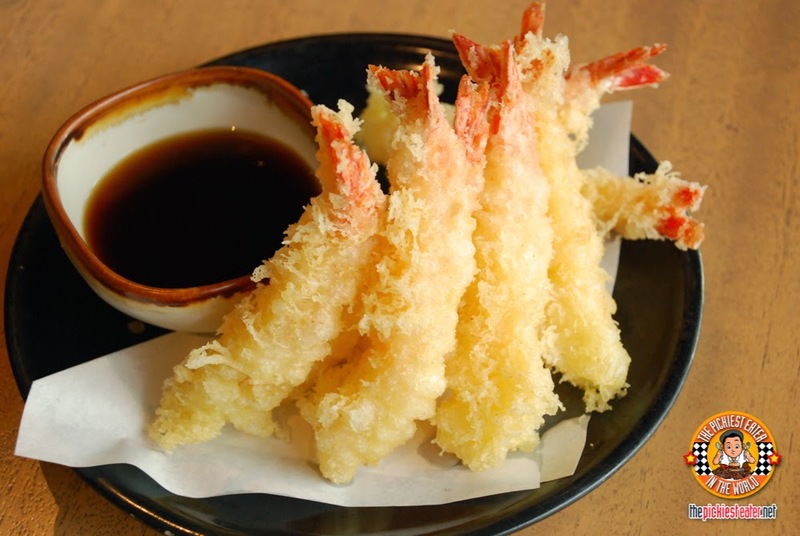 Their Ebi Tempura (P350) proves that size does not matter. Some other tempura look big but once you bite into it, they're actually mostly breading. This one has just the right breading to shrimp ratio. And very good taste too! Extra rice? 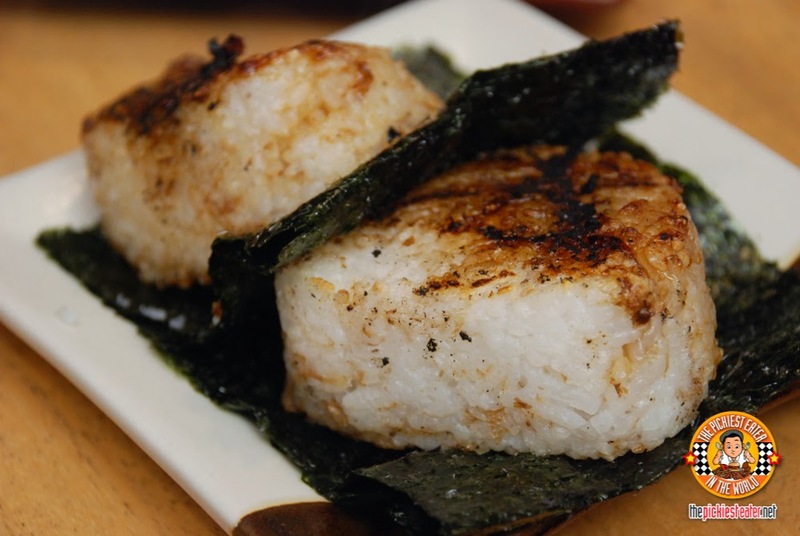 Try this unique Yaki Onigiri (P85 per piece). 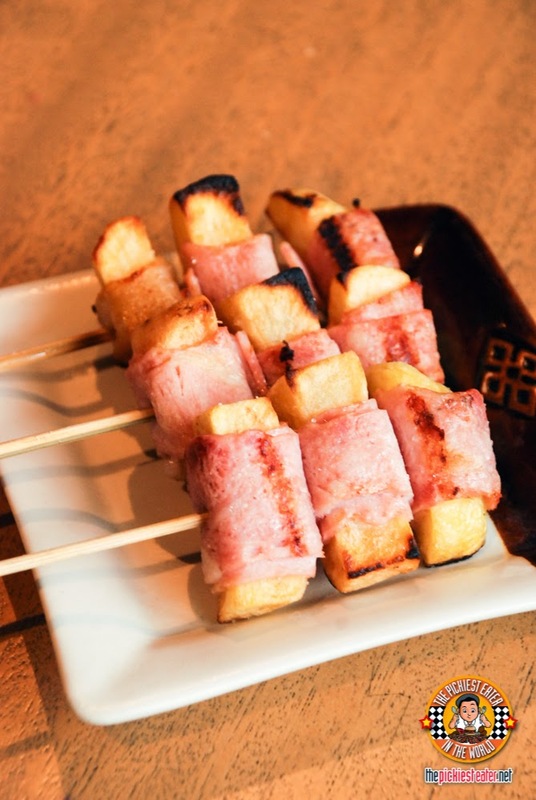 It's grilled rice balls. 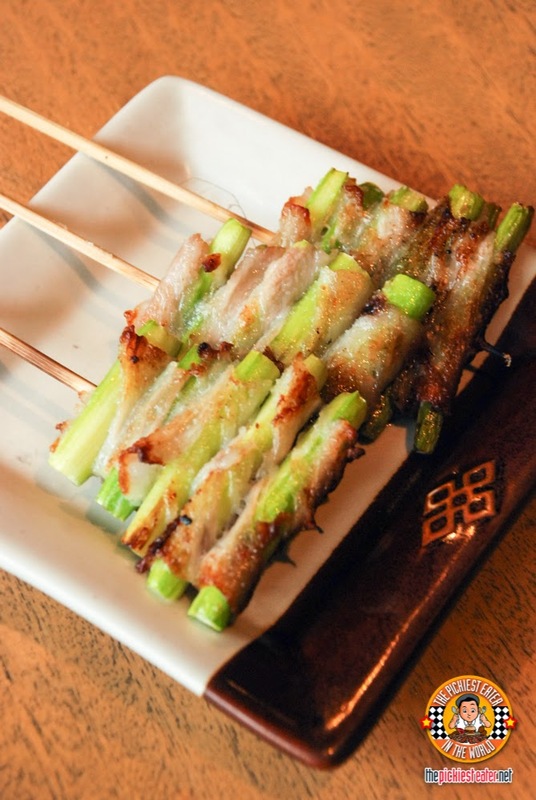 They're made of yummy sticky white rice formed into a sort of triangular shape (not really balls) and then grilled to form a crispy grilled sear. An interesting change to the simple plain rice. Next time we go back here, I'm having this again. I was also able to try the Shiitake Rice (P30). 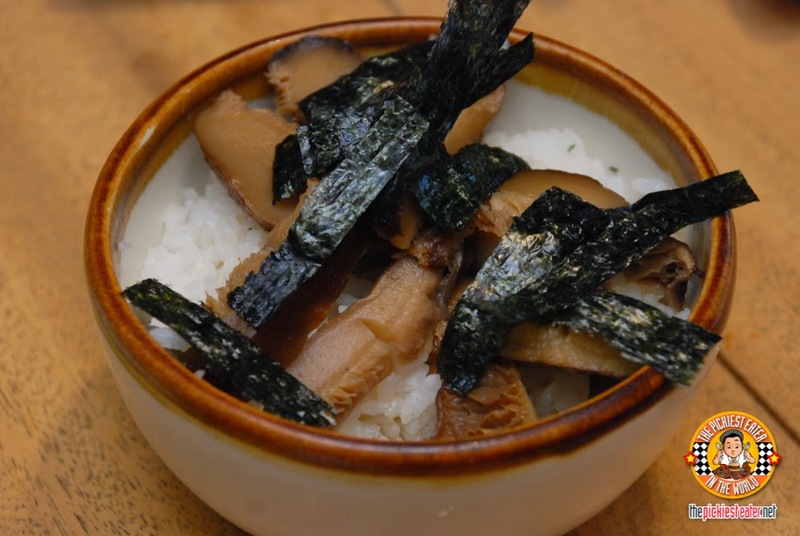 A bowl of white rice drizzled with some sort of sweet Japanese sauce, and then topped with shiitake mushrooms and nori. If you like sweet then you will like this. Very tasty! 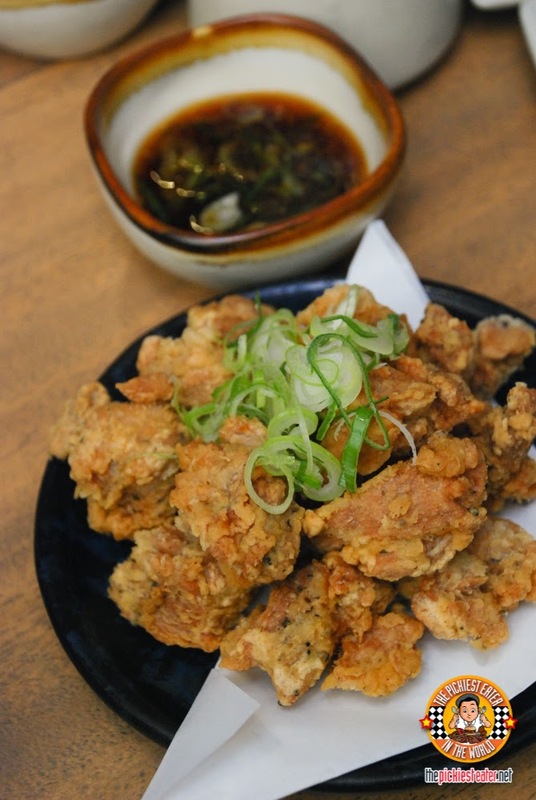 The Tori Karaage (P200) is crunchy breaded chicken goodness! The first piece I tried I think turned out to be chicken skin. It was so crispy, almost like fried pork rind (chicharon). I fell in love! 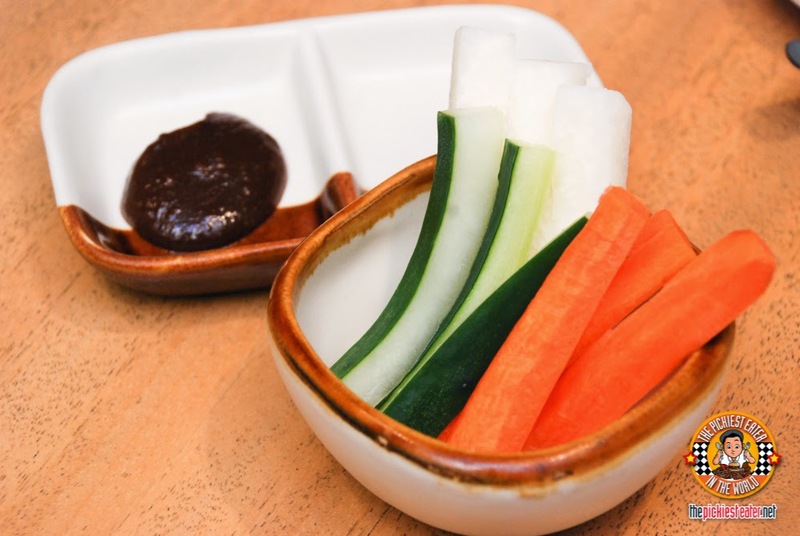 Dip it in the ponzu sauce for a mix of salty and vinegar-y taste in your mouth! My girl friends and I have been planning a simple night out to catch up and have a few ladies drink. But since I already have low tolerance for alcohol, I don't like strong drinks. Which is why these new Japanese drinks of Nanbantei fit the bill for me. I ordered the Japanese Mojito (P175) but half off on Wednesdays!). 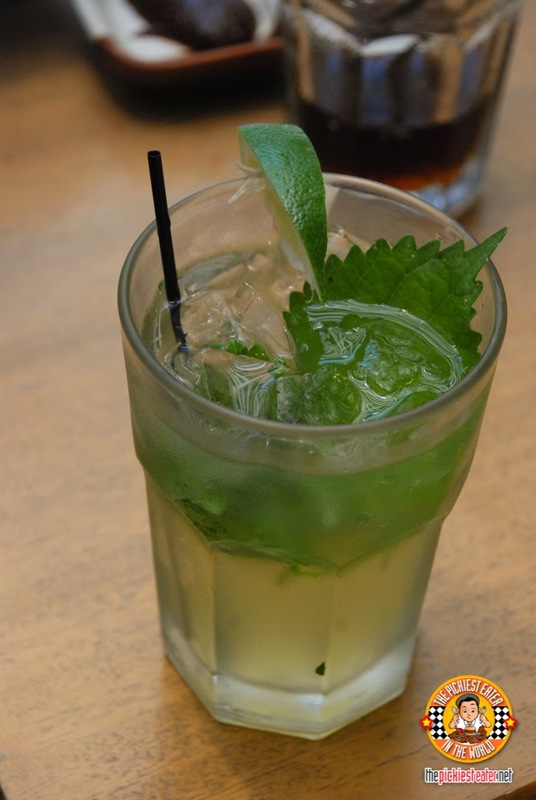 A very refreshing mojito drink! Slightly sweet! My friend had the Fresh Rita (P150 but P75 on Wednesday Nights) and she says it's also not strong. 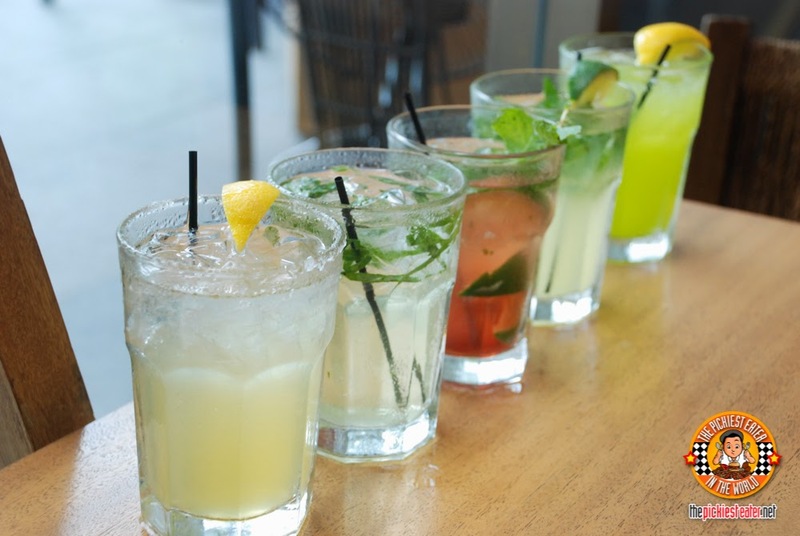 They also have Gin Basil (P125), Hibiscus Mojito (P150), and Malibu Midori (P125). 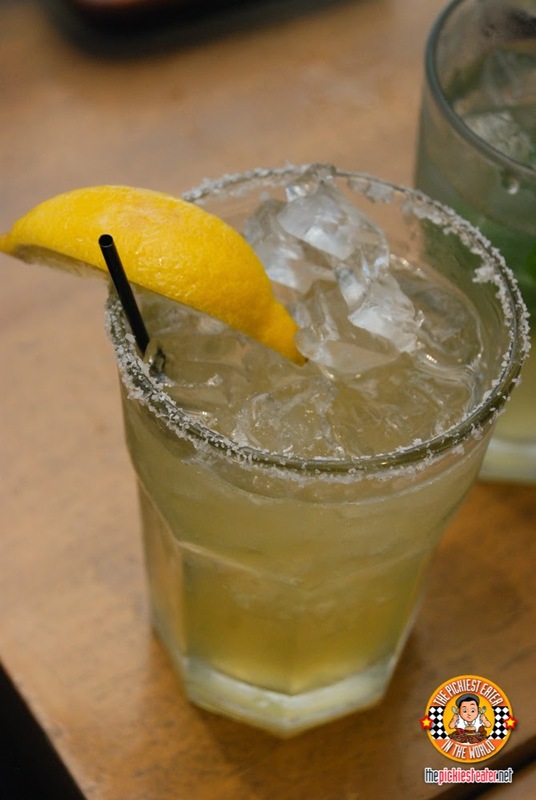 All of which are 50% off on Ladies Night Wednesdays! 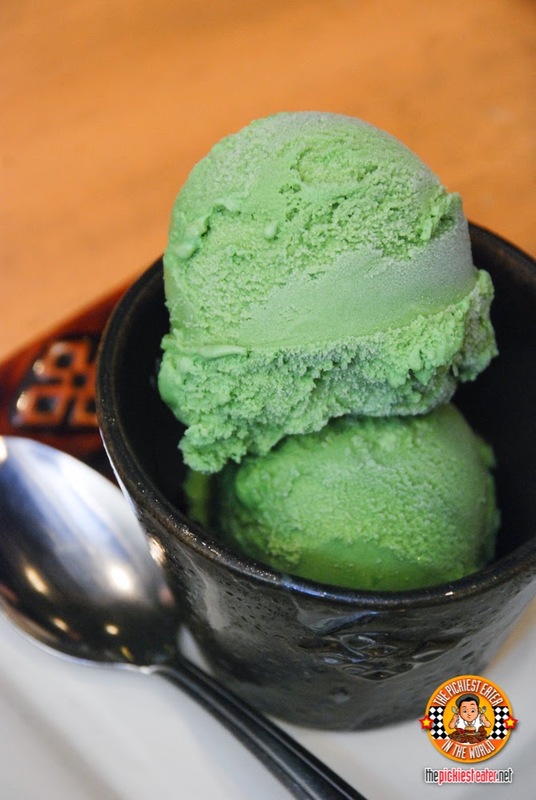 Here's Nanbantei's Green Tea Ice Cream (P100) one of the best. Because it doesn't have just a hint of green tea. The green tea flavor is quite strong but still sweet. You can kind of taste the bitterness at the back of your tongue. Almost all of them that night has been telling me that I have to try their Coffee Jelly (P120). I was already so full but I tried it anyway, and I'm glad I did. 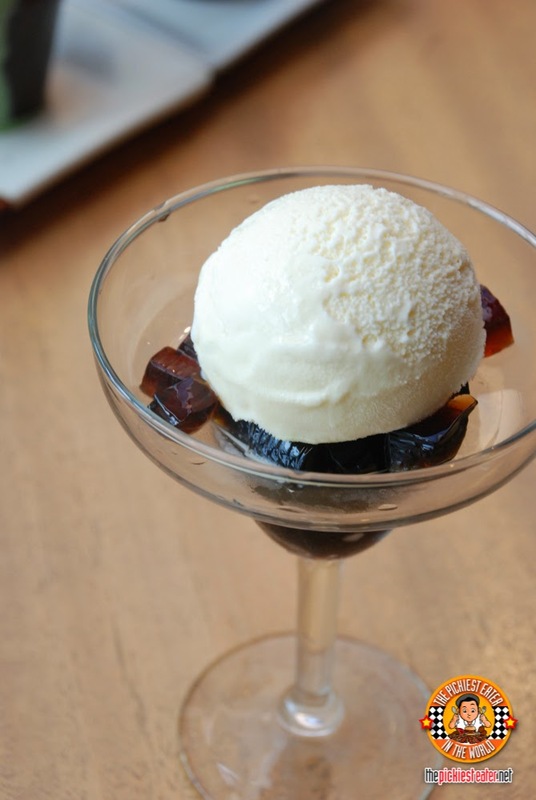 The mild bitterness of the coffee jelly cuts though the sweetness of the vanilla ice cream. Good! I might be going back here soon with my high school girl friends. Watch out, Nanbantei! Haha! 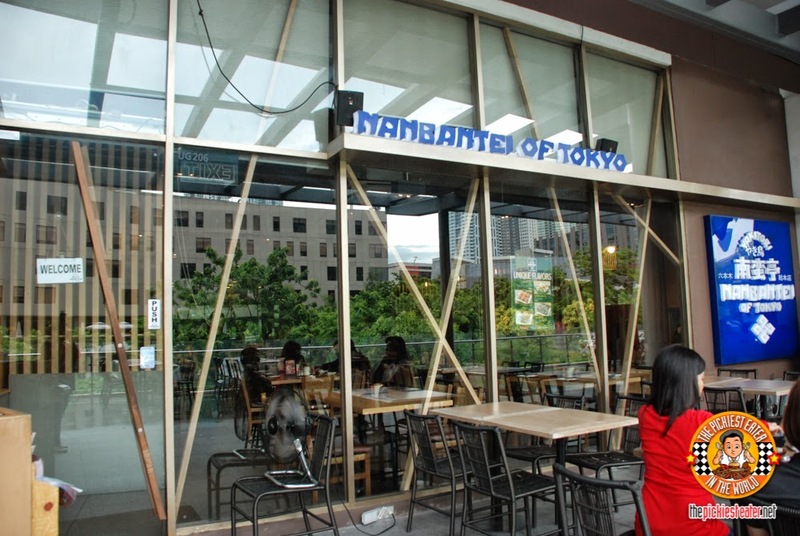 To get updates on their special offers, like Nanbantei on Facebook! Lemme guess... the bacon around the shrimp neutralizes the allergic effect of the shrimp on you. You know me so well Kuya Pao!